Variable rate intravenous insulin infusions (VRIII) are frequently used to manage blood glucose in inpatients. They are often used inappropriately and are associated with significant harm to patients. 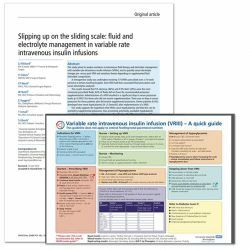 The Joint British Diabetes Society (JBDS) published guidance in 2014 that a new balanced fluid was recommended as a substrate for patients on VRIII, given the significant risk of hypoglycaemia and electrolyte imbalance in these patients. This fluid was not widely available and was expensive compared to the usual fluids. No data had been published to show its superiority. Following publication of the guideline, a practice review found that the fluid was poorly managed across the Trust, resulting in high levels of hypokalaemia. 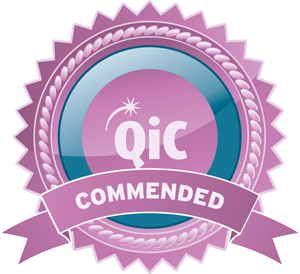 A quality improvement project (QIP) was set up at Queen Elizabeth Hospital Birmingham (QEHB) to improve the outcomes of patients on VRIII and to allow a consistent standard of care in keeping with JBDS guidelines. The Trust’s medicines management group would be advised on the efficacy of the new fluid. The QIP led to a significant improvement in clinical outcomes in patients on VRIII, brought cost savings (over £600,000 per year) and provided the first evidence of the cost-effectiveness of the fluid along with VRIII in the NHS.